With a stay at Fraser Crossing / Founders Pointe in Winter Park, you'll be within a 10-minute walk of Winter Park Ski Resort and The Fraser River Trail. This ski condo is 0.1 mi (0.1 km) from Amaze'n Maze Winter Park and 0.1 mi (0.2 km) from Moffat Tunnel West Portal. Treat yourself to a stay in one of the 195 guestrooms, featuring fireplaces. Your bed comes with premium bedding, and all rooms are furnished with sofa beds. Complimentary wireless Internet access is available to keep you connected. Conveniences include separate sitting areas and microwaves, as well as phones with free local calls. After a day on the slopes, relax in one of the 2 spa tubs. This condo also features complimentary wireless Internet access, ski storage, and barbecue grills. Fraser Crossing / Founders Pointe features 2 spa tubs. Wireless Internet access is complimentary. 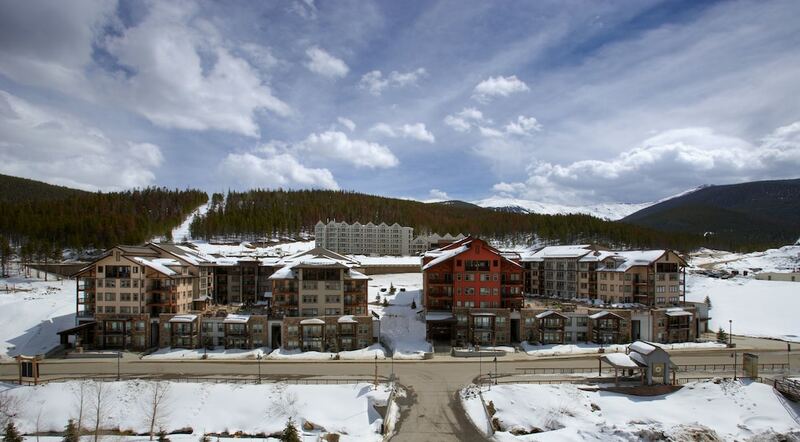 This ski condo also offers barbecue grills, ski storage, and laundry facilities. Limited onsite parking is available on a first-come, first-served basis (surcharge). Fraser Crossing / Founders Pointe is a smoke-free property. During the winter season, guests must gain access through the Parking Access Gate along Winter Park Drive before checking in. Inform the gate agent that you are staying at Fraser Crossing/Founders Pointe. This property provides housekeeping (trash pick-up and towel exchange) after the third night of stay for 5-night stays or longer. Additional housekeeping may be requested 48 hours in advance. For more details, please contact the property using the information on the reservation confirmation received after booking.